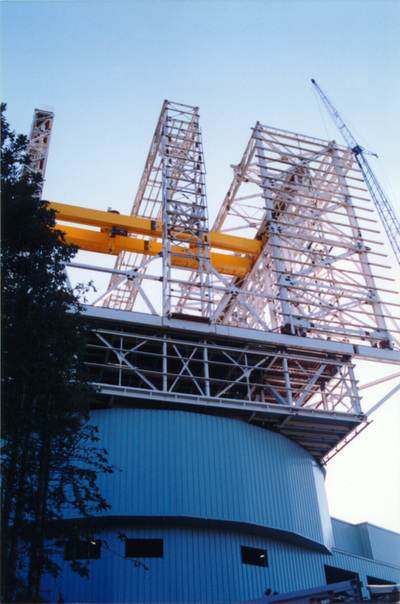 LBT’s history has already spread over more than three decades, from simple sketches and early work on lightweight mirrors to an exciting facility working hard to deliver unique opportunities to its users. 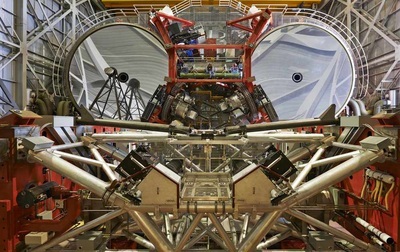 The first sketch showing what would eventually become the Large Binocular Telescope is found two years later in a paper presented at an SPIE meeting, which introduced the Versatile Array, a four element non-redundant array telescope-interferometer. A reproduction of this sketch is shown below. 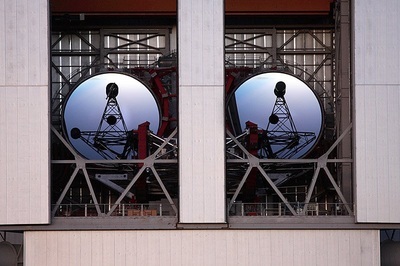 The array was to be “used as three separate telescopes, one of 11.7-m and two of 8-m, for work not requiring highest angular resolution”. 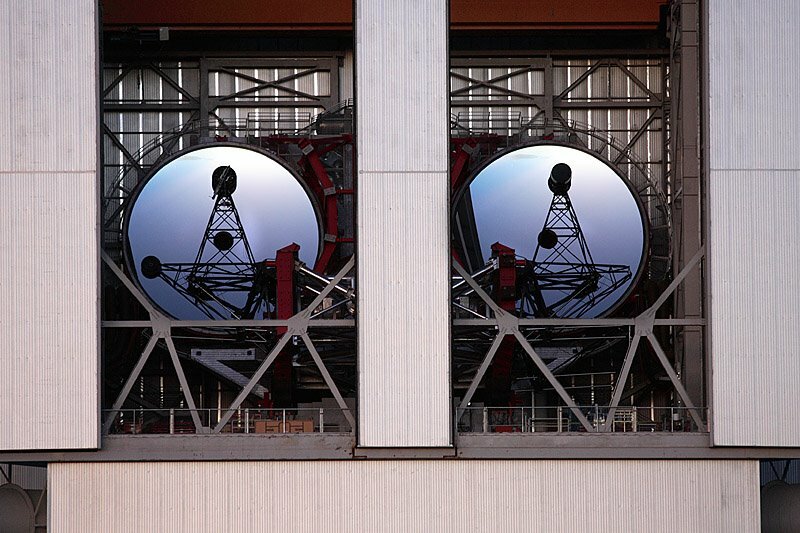 The 11.7-m telescope was made of a single mount carrying two 8-m mirrors. Image from "Woolf, N. J., Angel, J. R. P., McCarthy, and D. W., Jr., \The versatile array," Proc. 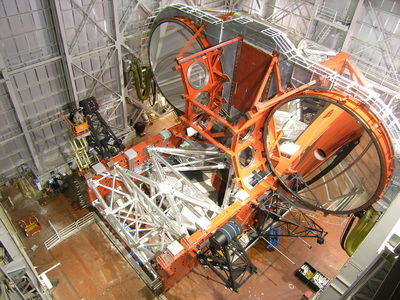 SPIE 9145, [0444-78], (1983)"
The Columbus Telescope was LBT’s first inception. 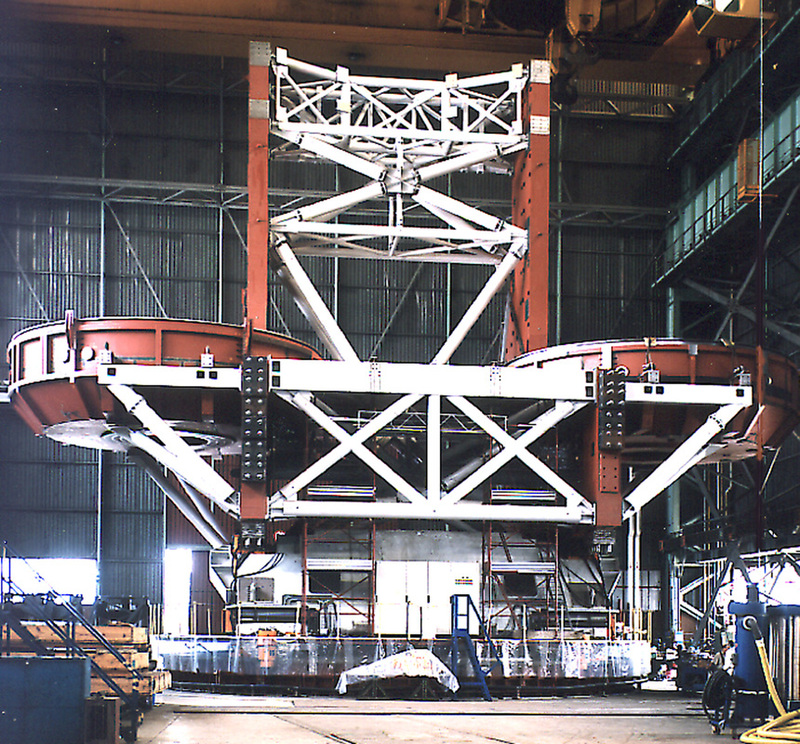 The Columbus Project’s goal was to develop and construct an 11.3 meter telescope by the 500th anniversary of the discovery of America, 1992. 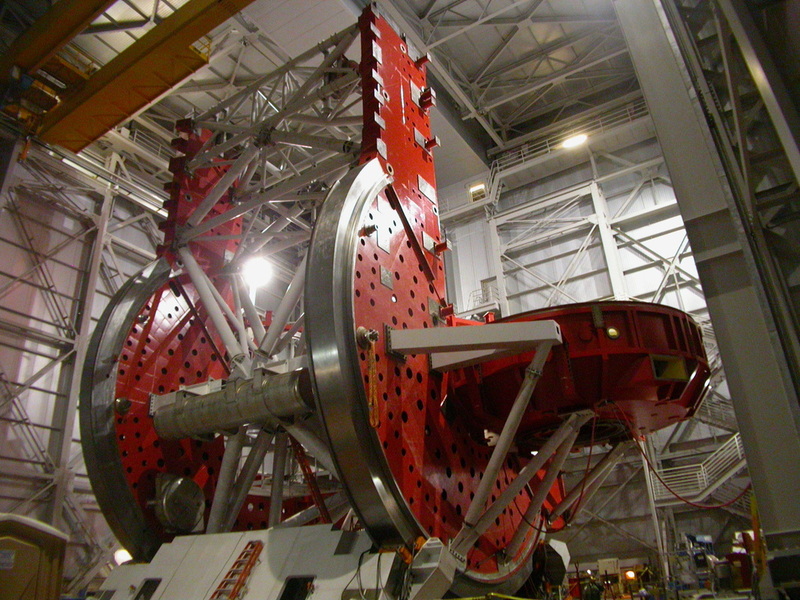 It was presented at SPIE for the first time in 1987. Three of the current LBT partners were already collaborating around Columbus: University of Arizona, Ohio State University, and Arcetri Observatory representing the Italian Telescope Group. The mirror work being done by Roger Angel at the University of Arizona was the major defining parameter. The initial design from 26 years ago proposed a mount with two C-rings and many of the initial basic concepts were eventually adopted for the final design of the LBT. 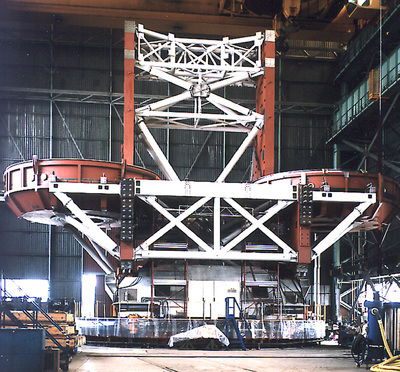 Image from "Davison, W.B., \Structural innovations in the Columbus Project: an 11.3 meter optical telescope," Proc. 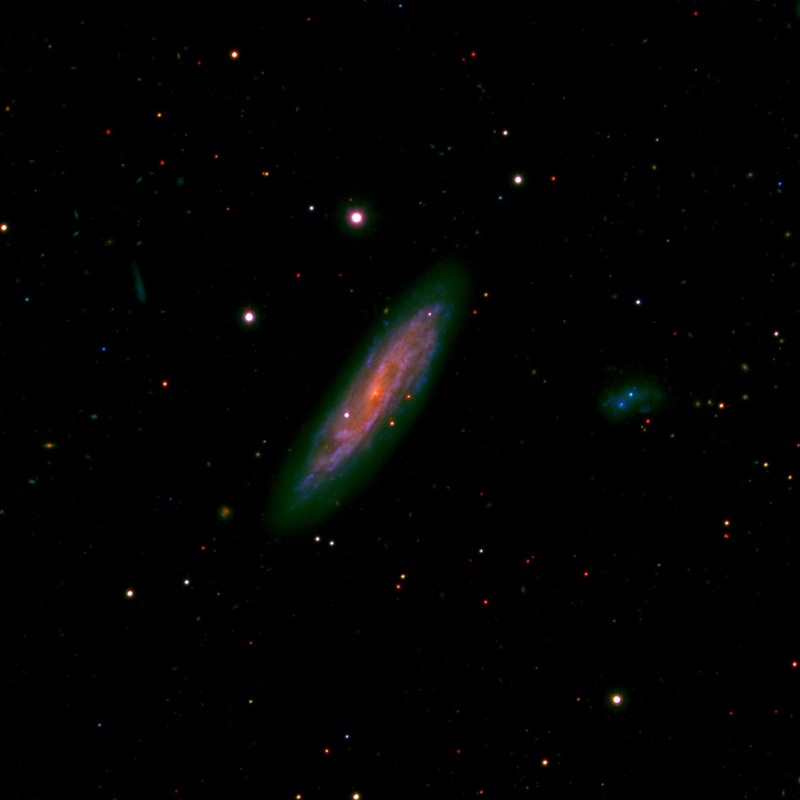 SPIE 0748, [0748-31], (1987)"
Various changes in the composition of the consortium took place over the following decade, concluding in 1997 with the current partnership; LBTB, the German partner, was the last to join. The name of the consortium changed in 1993 from ”Columbus Project” to ”Large Binocular Telescope Corporation”. 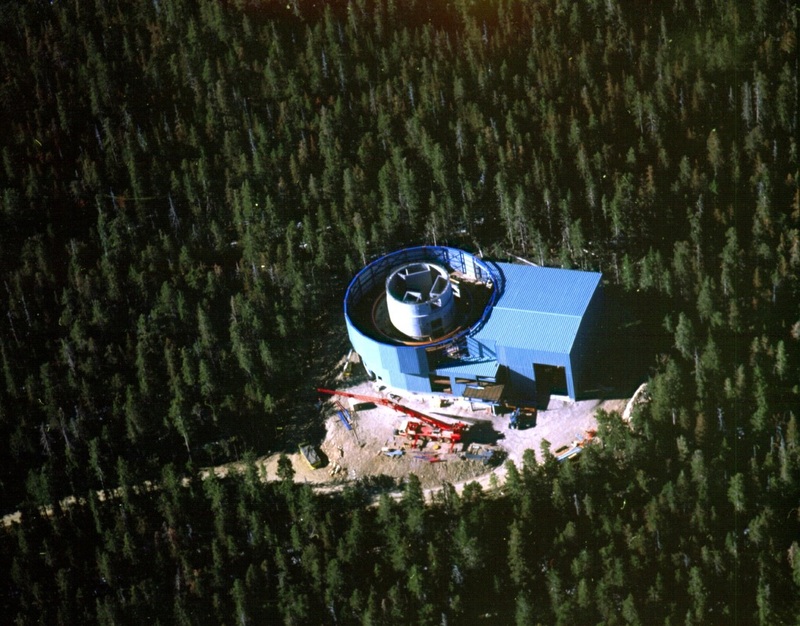 Meanwhile, the environmental and cultural issues around the use of Mount Graham by LBT finally concluded in 1996 when the US Government authorized construction of the observatory. The final agreement between the LBT Corporation and the University of Arizona was signed at the end of 1996 for the construction and operation of the Large Binocular Telescope on Mount Graham. 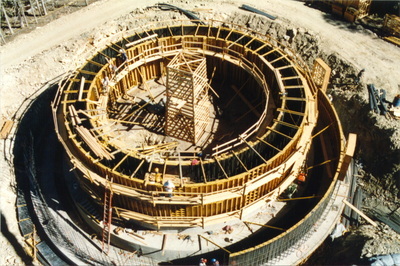 Construction began in 1996. 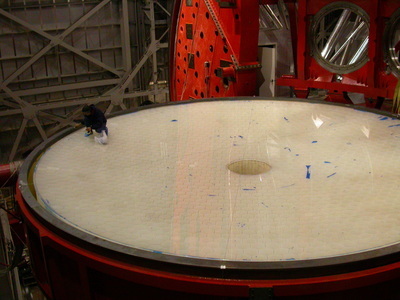 At the Steward Observatory Mirror Lab, years of development eventually culminated with the casting of the first 8.4-m mirror for LBT which started in 1997. The telescope structure was completed in Italy and shipped to Arizona in the summer of 2002. At the Steward Observatory Mirror Lab, years of development eventually culminated with the casting of the first 8.4-m mirror for LBT which started in 1997. 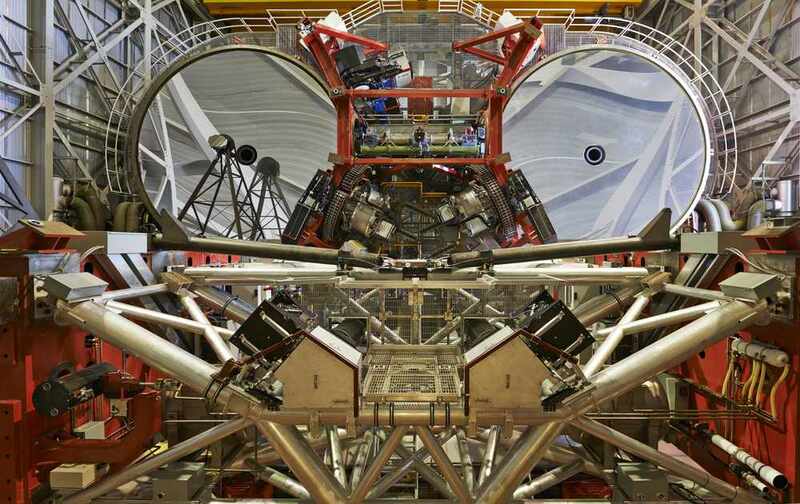 First light on the first mirror was officially announced in October 2005 and the first binocular light in March 2008. For the first four years following first light with the first mirror, the instrumentation was limited to wide field imaging with the pair of Large Binocular Cameras (LBCs). The first infrared imager and multi-object spectrograph, LUCI1, arrived on the telescope in 2009 and was released to users in 2010. 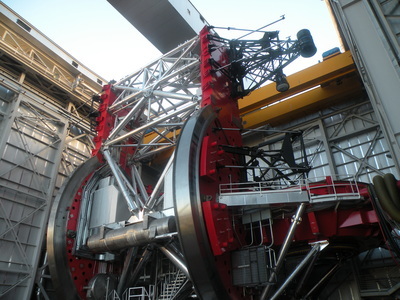 The first visible imager and multi-object spectrograph MODS1 was on the telescope in early 2011 and released for science at the end of that year. LUCI2 and MODS2 were installed on the telescope in mid-2013 and early 2014 respectively, and are both in their commissioning phase. 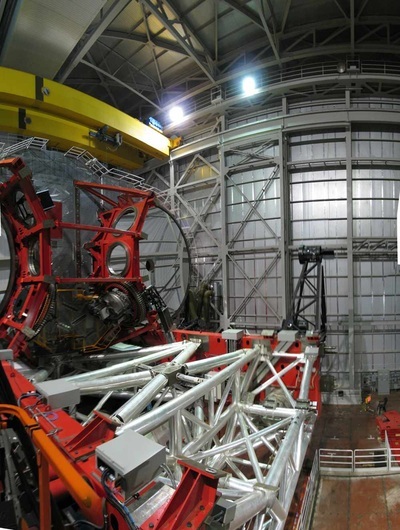 Adaptive secondaries (AdSec) and adaptive optics (AO) are an essential part of the telescope, at least for diffraction limited observations. 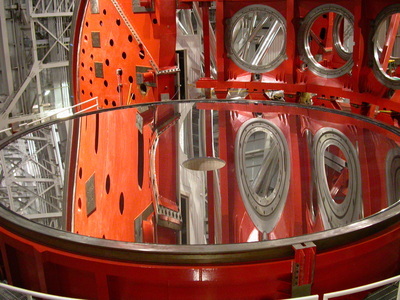 The AdSec’s were initially the only secondary mirrors to be built for LBT. The construction of the AdSec’s started in 2003 as an expansion of the MMT adaptive secondary. 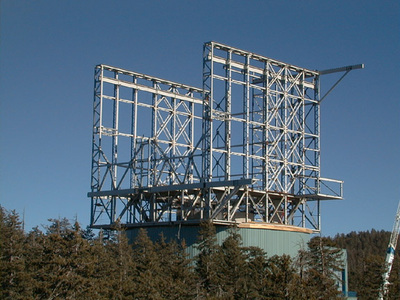 The first AdSec was delivered in early 2010 and commissioned by the end of that year, using FLAO, the First Light Adaptive Optics. 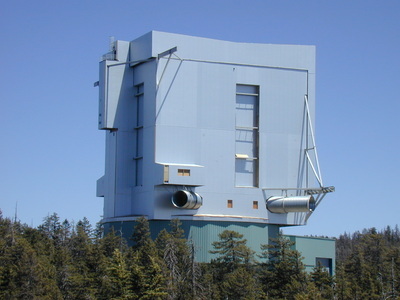 The second AdSec unit was operational by the end of 2011. 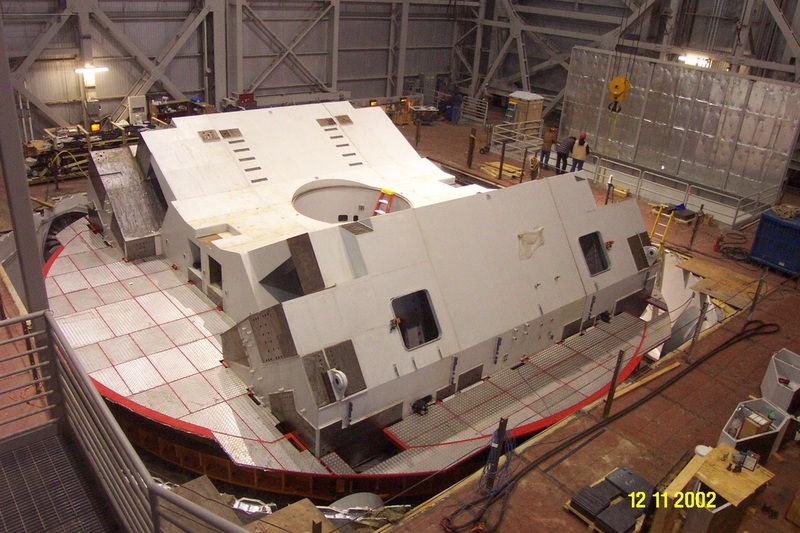 For more information on recent progress and important milestones, visit the blog "It's happening at LBT"